For over eight decades the Walt Disney franchise has provided kids and adults alike with a world of wonder where magic, love and a virtuous life reign supreme. A world where evil is punished and good deeds are rewarded, this world has a plethora of characters but at the helm of affairs is the Disney princess, a character which have gone on to become an iconic staple in media and entertainment today. Typically, the word princess denotes royalty but not all of the Disney princesses are born royal, some of them married royals or by acts of heroism, came to be described as princesses. Another fact about Disney princesses is that there is the common misconception of thinking the primary female characters in all Disney animated movies are princesses. The lead female characters in Disney animated movies who do not make the cut of the Disney princess line-up are Megara who appeared in Hercules, Esmeralda from the Hunchback of Notre Dame, Jane Porter of Tarzan, Nani Pelekai from Lilo and Stitch, among others. While Disney princess movies have existed since 1937, marketing them as a brand – ‘The Disney Princess Line’ – was birthed in 2000 after the chairman of Disney’s Consumer Products noticed girls at a Disney themed show in princess costumes that were not from the Disney movies. This caused him to gear into action and release a line of products that had the authenticity of the selected princesses. The princesses on this line were originally nine in number. One of them was taken off the Disney princess list – this was the fairy Tinker Bell. Subsequently, other princesses have been added to the list to make it a total of eleven. This article is about the eleven Disney princesses in chronological order of their movie release. She is the fairest of them all, with skin as white as snow, lips as red as a rose and hair as dark as ebony. In the order of movie releases, Snow White is the first Disney movie that features a princess. The movie was released in 1937 to critical acclaim. The story of Snow White has its roots in a fairy tale that is popular in Europe and it follows the life of a princess who lives with her step-mother; the evil Queen Grimhilde. Grimhilde’s magic mirror tells her that Snow White is the most beautiful maiden in all the land and in a jealous fit, she plots to kill Snow White, who then escapes and lives with seven dwarves, who are named after their temperaments. Grimhilde eventually finds Snow White, gives her an apple that induces sleeplike death, which only true love’s kiss will break. Snow White, like many of the other princesses on this list, is a princess. Five actresses have voiced the character of Snow White with Adriana Caselotti being the first actress to do it. Earning her name from cinders from the stove in the kitchen where she was relegated to, this Disney princess is a fan favourite. Her movie was released in 1950, twenty-seven years after Snow White and just like Snow White, her story has its origins in a Grimm story and a fairy tale native to France. Her signature outfit is a sky blue dress with white frills, a black choker, blue headband holding a bun in place and of course the glass slippers. There have been numerous movies and spin-offs from the original movie. Cinderella, just like Snow White, is subjected to abuse at the hands of her stepmother; Lady Tremaine who is aided by her daughters – Drizella and Anastasia. Cinderella’s fortune changes with the arrival of a fairy godmother who gifts her the iconic glass slippers and helps her attend the ball that changes her life. She has served as a reference point in popular culture since her debut on screens and is a worthy member of the list. She has been voiced by a lot of actresses, but Ilene Woods was the original Cinderella. She becomes a princess by marriage, going on to become an iconic and perhaps the most popular Disney princess. Aurora is a Disney Princess who is popularly known as Sleeping Beauty; which is the name of the movie she was in. Sleeping Beauty was released in 1959. The story of Aurora originated from three different sources to make it what is has become today. Aurora is one of the princesses born into royalty and on the day of her birth, she was gifted with the curse of pricking her finger on a spindle on her 16th birthday that will cause her to fall asleep for a hundred years, only to be awakened with a kiss. This movie was a box office bomb which was panned by critics and made the studio shy away from making more fairy tale themed movies. After the reviews of Sleeping Beauty which were mixed – at best, the studio made no princess movies until 30 years later in 1989. The Little Mermaid was released, also to mixed reviews. Ariel, the titular character, is a mermaid who trades her voice for legs to go to land and meet a human prince much to the dismay of her father. There have been documentaries on the impact that the movie had on cinema; regardless of the reviews by critics, it was still a turning point in modern cinema and it differed from the princesses in the golden era of Disney animated movies. Belle is the female lead of the movie Beauty and the Beast which was released in 1991. She is notably very different from the initial line-up of princesses with her independence, bravery and love for books – a trait that is based on one of the sisters in the movie Little Women. She has been praised for her non-conformist behaviour and in recent times, has been dubbed a feminist. 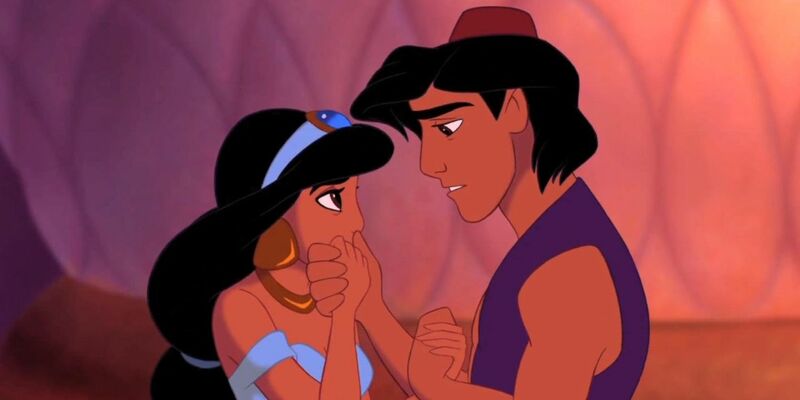 The Disney princess in this film is Jasmine. This Arabian princess is the sixth princess in the line-up with the movie release of Aladdin in 1992, her story originates from the story of Aladdin and the Wonderful Lamp. She is the first and one of the few princesses that do not hail from Europe. In their attempt to create princesses that differed from the first three who were subservient and passive, Disney started to create princesses who were assertive and had a say in their lives, this they achieved remarkably with Jasmine. The titular princess was a Native American who helped her people to fight imperial forces, she is the first princess based on a real-life person. The movie was released in 1995 to mixed reviews and features Pocahontas who is torn between love for her county and love for a man. Fa Mulan‘s story is also drawn from the experiences of a real woman, the legendary Hua Mulan. The iconic character goes to war in place of her father to protect her family’s honour. The movie was released in 1998 to praise from critics and fans alike. Mulan is a much more progressive and independent character than all the previous princesses, although not as poised or as graceful. As the saviour of China, she was conferred with a royal status by the Emperor of China. The Princess and the Frog was released in 2009 and features the first black Disney princess – Tiana. For this inclusion, Disney received praise, prior to the movie’s release. The movie relies heavily on the fairy tale of a princess who kissed a frog that turned into a prince – a fairly common story, but this movie put a spin on the story, sending the characters into a whirlwind of adventure with a dash of magic. Tiana is an African-American from New Orleans who attempts to help a prince who had been turned into a frog by kissing him to break the curse; however, the prince had mistaken her to be a princess, so when she kisses him, she also gets turned into a frog. The two then try to find a way to break the curse, finding true love in the process. 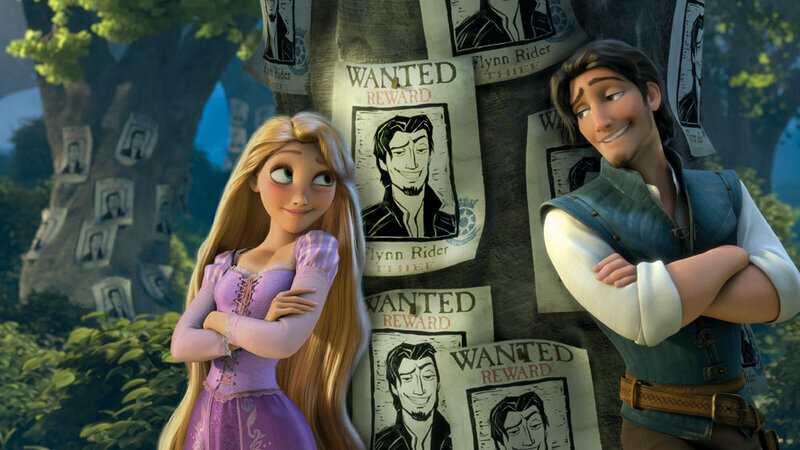 Tangled was released in 2010 and features Rapunzel who is the tenth princess in the hierarchy of Disney royalty. Her magical blonde hair makes her the victim of a kidnapping by Mother Gothel who keeps her for the gift of youthfulness that Rapunzel’s hair offers. The character of Rapunzel is quirky, intelligent, creative and is a fiercely loyal friend who will go to the end of the world to achieve her goal. This fearless princess, although born into royalty does not fit into the mould of a princess, opting to live a life where she does not wear shoes. Merida the Disney princess is the lead character in the 2012 film Brave. Just like the princesses before her, she is bold and fearless, dabbles into magic and does everything within her power to correct her errors. She is, however, not solely from the Walt Disney studio but was created in collaboration with Pixar. Merida oozes independence and stubbornness, the only princess not romantically involved with anyone. In the movie, she makes a point to prove she does not need or want a man. She has been received with praise and resonates with feminists.